Upgrading the comfort level of your home has never been easier than with quality ceiling insulation. In South Africa we are often subject to seemingly random cold bouts, and in these times we either have to simply bear with the cold or waste money on heating expenses. This is unnecessary in our current day and age, as ceiling insulation products have greatly advanced in the last decade and are now even affordable for private use. This is why at Aeroinsul would like to share some insight with prospective customers, on why insulation is a good investment – as well as how you can go about enhancing your own home with quality insulation products. 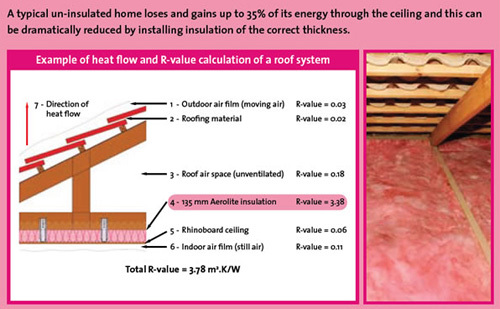 When choosing which insulation to purchase, it’s important that you understand resistance values, or R-Values for short. 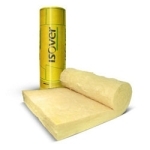 These will help you figure out which insulation products would be best suited to your particular house, as some insulation products are better for certain climates and R-Values. Once you have this information, you can select from a wide variety of ceiling insulation types, each with unique pros and cons. There are many different types to choose from, so seek the assistance of professionals like us. We will be able to quickly identify precisely which ceiling insulation solution is ideal for your environment and preferences. Aeroinsul preferred ceiling insulation is Aerolite. Acquire multiple quotes from different service providers according to the R-value that you need. This price may vary between different providers, so conduct some research to find out why. This is because one provider may be less expensive, but may also cut back on service levels and product quality. So find out which ceiling insulation specialists offer the best price for the quality and enjoy the best of both worlds. You should also query about air sealing, as it’s prudent to ensure the cavity you are filling has no leaks prior to insulation.